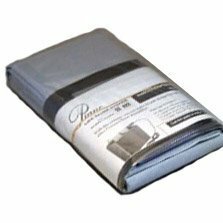 Designed for use in Dampp Chaser Piano Life Saver Humidity control systems.Replacement pads for wicking water across the humidifier heater bar.We recommend replacing pads twice a year, or when mineral deposits render them ineffective.Set Includes: 4 replacement pads, 1 black liner, 1 clean sleeve. Complete instructions included. If you have any questions about this product by Dampp-Chaser, contact us by completing and submitting the form below. If you are looking for a specif part number, please include it with your message.